RVI is a leader in smoke and heat exhaust ventilation/smoke clearance systems (powered and natural), which are constantly subjected to R&D scrutiny, aimed at developing cost effective solutions to smoke control problems. 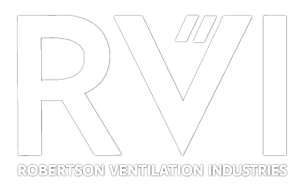 All RVI smoke and heat exhaust ventilation products are subjected to rigorous testing and are code compliant. 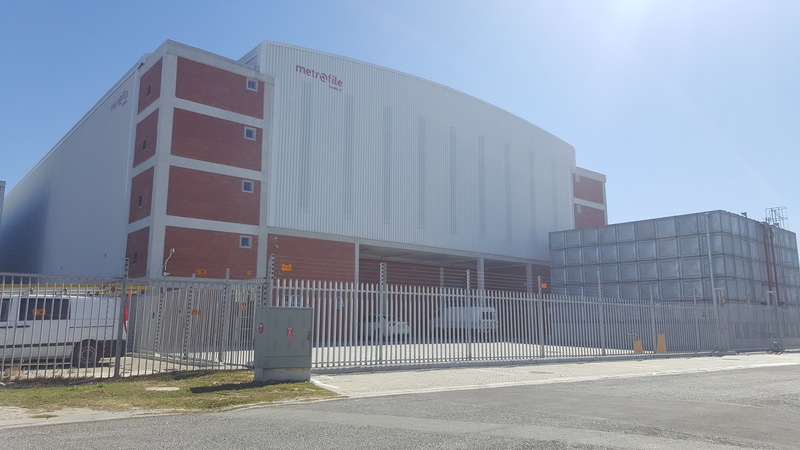 In June 2016, Metrofile enlisted the services of RVI Cape Town to install a smoke control system in one of their new buildings. Metrofile Holdings Ltd is the leader in fully integrated records and information management in South Africa, and has over 30 years of experience in the field. The services the company provides enable businesses, private practices, organisations and government departments to manage their greatest risk, the loss of information. The company has a proven track record of helping its clients to back up, manage, store and protect large volumes of active and inactive documents, images and data in both physical and electronic formats. RVI installed 30 Orion B15 low-profile louvre roof ventilators, complete with 24V DC actuator and a fail-safe fusible link – this is a device fitted into the ventilator which allows automatic opening of the louvre blades if the fusible link exceeds 73°C and the building becomes too hot. The Orion is a multifunctional roof ventilator with a certified aerodynamic area as a standalone ventilator with the certification extending when incorporating bird screens, burglar bars and wind baffles in any combination. The added advantage of the Orion is its compliance with EN 12101-2 and CE mark, allowing the designer complete peace of mind when specifying this product. 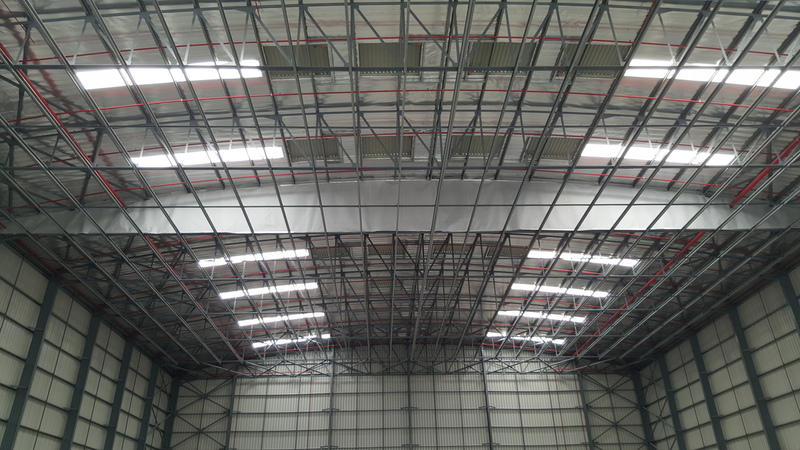 A drop-down smoke curtain was also fitted to the existing roof steelwork. Smoke curtains activate in the event of a fire, providing a means of diverting smoke away from a desired location or protecting an area from direct smoke infiltration. As the name suggests, this is an electrically operated automatic smoke curtain, for use as part of an integrated smoke control system. It is essentially a roller blind incorporating heat resistant fabric normally held retracted at ceiling level. Individual curtains can be installed adjacent to one another to give a continuous bank of curtains. RVI is a specialist manufacturer operating within the disciplines of smoke ventilation, industrial ventilation, automated and fixed sun louvres, automated internal blinds, engineered ventilation and window automation. RVI has been trading in South Africa for the past 50 years and has installed both engineered and mechanical ventilation throughout the world to thousands of industrial and commercial structures.